Back to School: Sizo in September! In just a few weeks Ethiopian children will return to school. Playgrounds will be full of girls playing “sizo”. 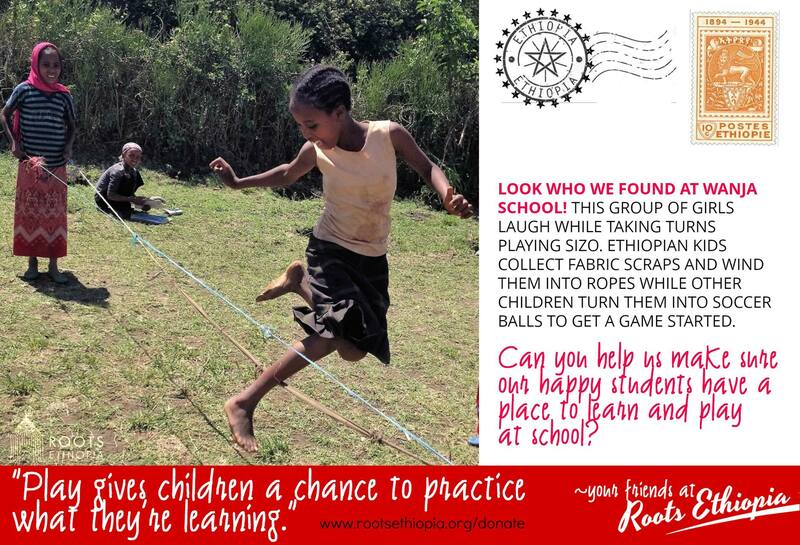 How about these games, from the book “The World of Girls and Boys in Rural and Urban Ethiopia” edited by Eva Poluha? Have you ever heard of Kuku or Dibibikosh? Leba Ena Police? Or Erkus? It’s back to school week for so many children this week too. We wish all the kids a wonderful week of learning and play! Next Next post: SHG’s + School Attendance = Awesome!